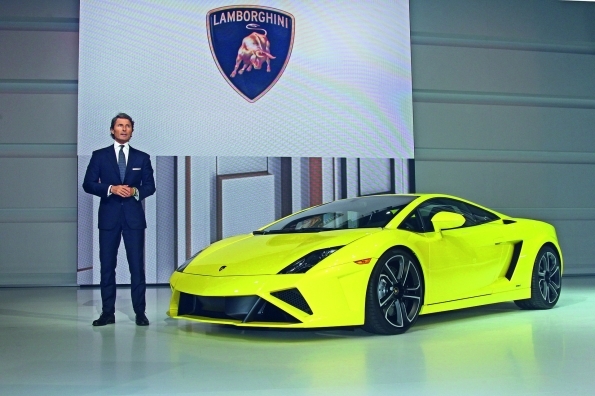 Lamborghini unveiled the new Lamborghini Gallardo LP 560-4 as well as the LP 570-4 Superleggera and the LP 570-4 Spyder Performante which will be offered with the enhanced Edizione Tecnica package. 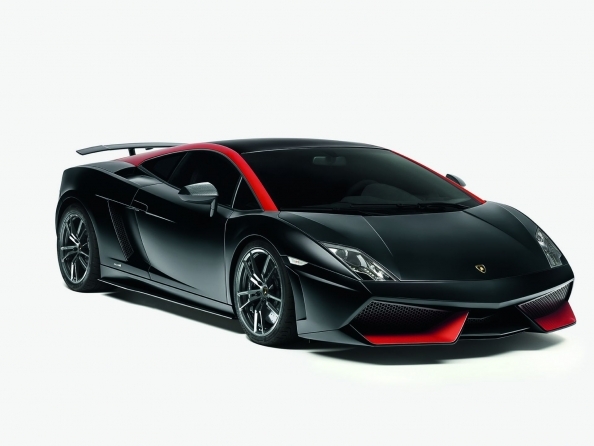 The new Lamborghni Gallardo models will be available globally at Dealerships from November 2012. 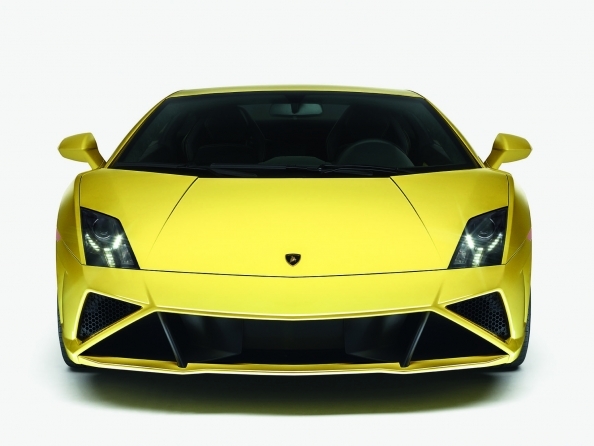 The most noticeable changes to the Lamborghini Gallardo LP 560-4 is the new front end which features triangular and trapezoidal forming an overall broader and more forceful look, complimented by new look larger air intakes. Also new are the 19-inch “Apollo polished” alloy wheels, painted in matt black and featuring precision-machined spokes in polished silver. 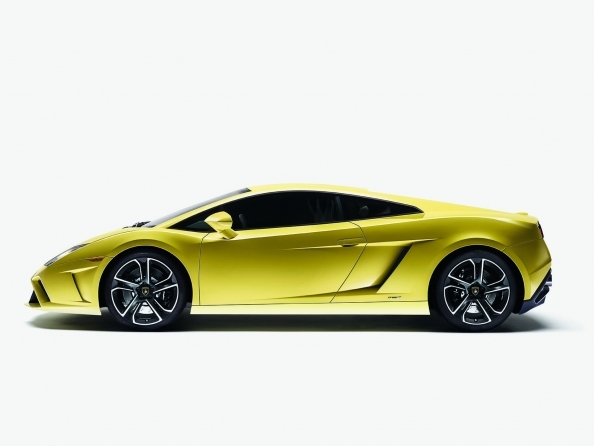 At the rear the Lamborghini Gallardo LP 560-4 also carries over the triangle and trapezoidal forms from the front, with the air outlet having an overall wider surface area. The Lamborghini Gallardo 570-4 Superleggera and the Lamborghini Gallardo LP 570-4 Spyder Performante with the Edizione Tecnica package benefit from an improved equipment level and give the cars an even more individual look. Features of the Edizione Tecnica include the fixed high rear wing, as well as brakes in carbon-ceramic technology. They combine low weight with outstanding fade resistance and durability. The Edizione Tecnica will be offered in three new exclusive optional color combinations, whereby the entire roof arch and front air intakes are painted in a contrast color. 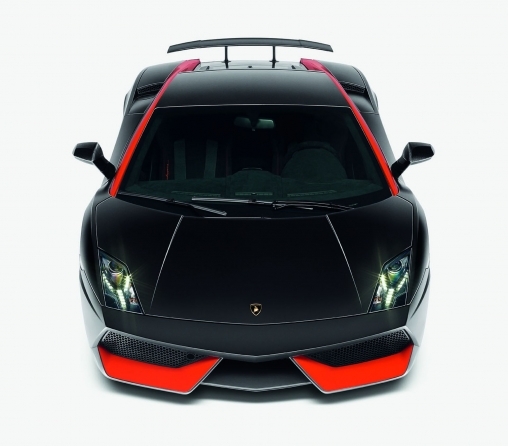 The available shades are: Nero Nemesis (matt black) body with Arancio Argos (orange) pillars and front air intakes, Bianco Canopus (matt white) body with Arancio Argos pillars and front air intakes, and Arancio Argos body with Nero Nemesis pillars and front air intakes.